We have released 3 new hairstyles and introduced 10 new hair colors! * Almond and Caramel are now part of the 'Browns Light' pack, and there are 3 new shades of light brown added to that pack. 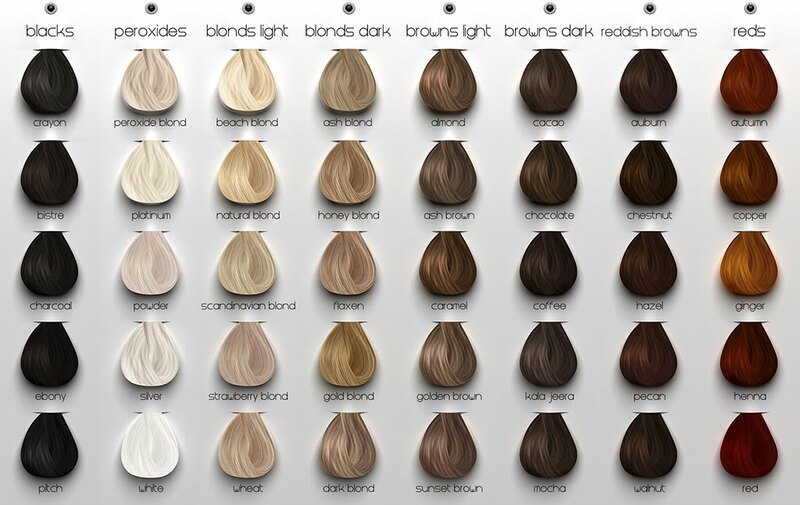 * Beach Blond has moved from the peroxides pack to the 'Blonds Light' pack. We have also added a new shade to this pack. * As a replacement for 'Beach Blond', we brought back 'Peroxide Blond' In the Peroxides Pack. * The 'Browns Dark' pack is the old 'Browns' pack, except that Caramel has been replaced by a new shade. * The 'Reddish Browns' pack is the old 'Nuts Pack', except that Almond has been replaced by a new shade. * From now on some of the light hair colors will have subtly darker roots for certain hair styles. We hope to update the older hairstyles with the new hair colors soon!